Time for your own log home getaway? Or maybe a log cabin guest house? Where would you build this 2 bdr, 1.5 bath handcrafted log cabin luxury cottage with a roomy loft? Just under 900 sq ft with a 630 sq ft main floor, this Douglas Fir log cabin is everything you need for the perfect wilderness home base or lakeside cottage. Wake up in a fine quality log cabin on your next outdoor adventure or give family and friends the guest experience of their dreams! 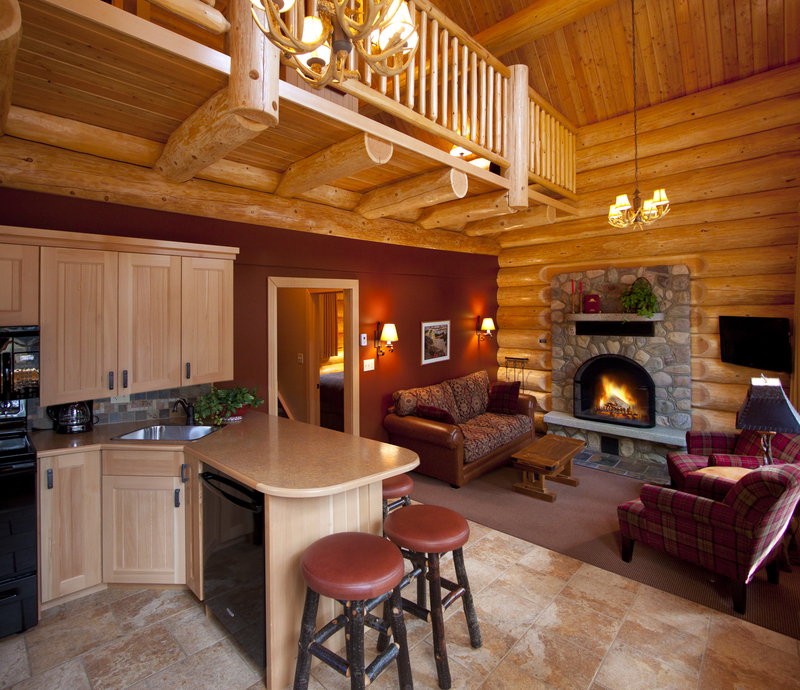 The log house above is beautifully completed in Jasper, Alberta at Alpine Village Log Cabin Resort. 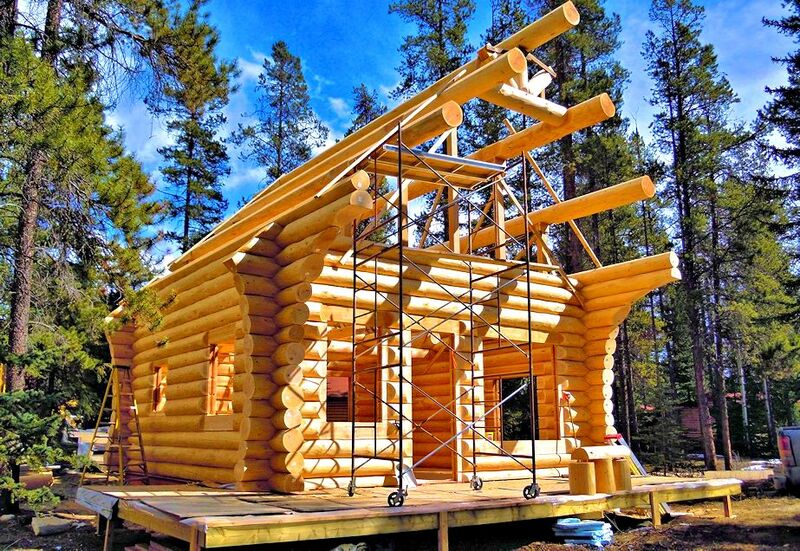 Appreciate the 15″ mid-span diameter hand-peeled logs and superior craftsmanship found in executive custom log homes…all included in the perfect little log cabin for you and your family! A functional open living and kitchen area welcomes you at the end of a day outdoors or gives you plenty of space to get comfortable in bad weather. This might be better than camping! 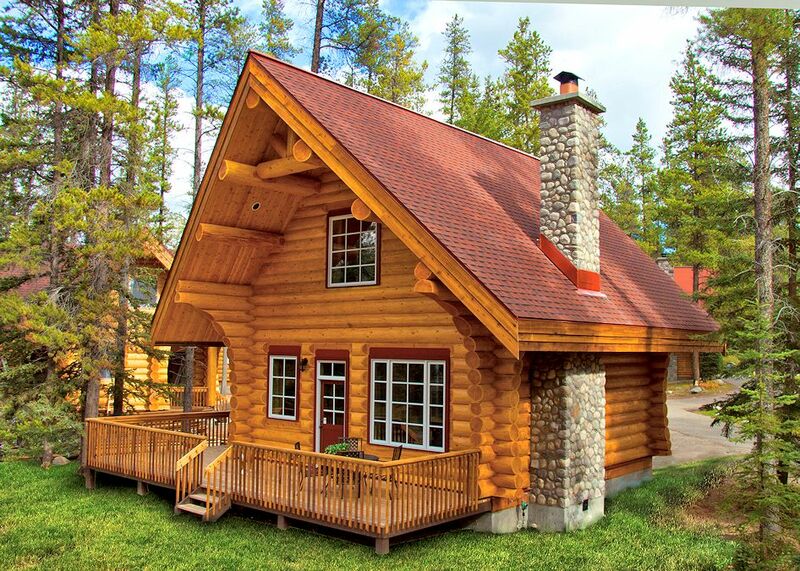 Complete this log cottage with a sun deck or front porch to enjoy the view or the stars at night! 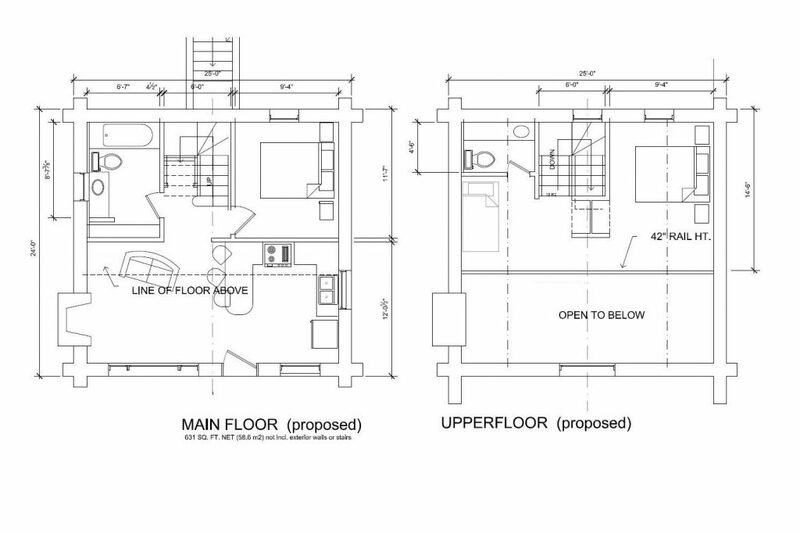 Imagine the space finished in your own unique style or ask about working with a draftsman for personalized modifications or a custom log home plan. Looking for something different? See other log home plan ideas. Most of our log homes are custom designs, and the log cabin plans you’ll find here are only an example of the many log cabin styles we build. 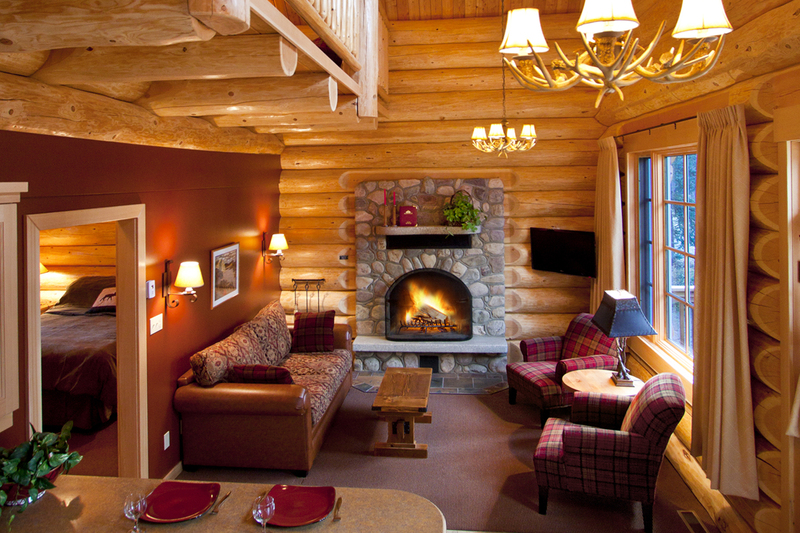 Bring us your ideas and we’ll begin planning the perfect log cabin for you! Teamwork: The Advantages of Our Log Package SystemWhat’s Included In a Log Package?